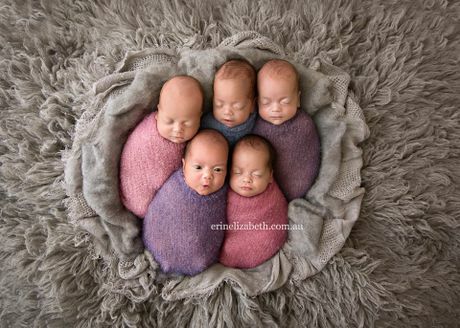 AN Australian mum who made headlines after conceiving quintuplets naturally has released a set of new pics of the adorable tots. Perth-based mum Kim Tucci, 26, gave birth to four daughters and a son via caesarean, with a team of 50 doctors and nurses standing by. The babies, named Keith, Ali, Penelope, Tiffany and Beatrix, were all born healthy. The story first made the news after Tucci started a Facebook page called Surprised by Five, where she shared details of the pregnancy. The sweet pictures, captured by Erin Elizabeth Photography, show the babies snuggled together peacefully. "My body fought the toughest of battles to get five babies here safely," Tucci wrote alongside the photos. "Everything I did I did for them." In an interview last month with current affairs show 60 Minutes, Tucci said doctors originally gave her the choice of savign two of the babies and terminating the others, due to serious health risks. "No-one thought I could do it, and I did, I showed everyone in my life," Mrs Tucci told 60 Minutes. The chance of conceiving quintuplets naturally is about one in 55 million. 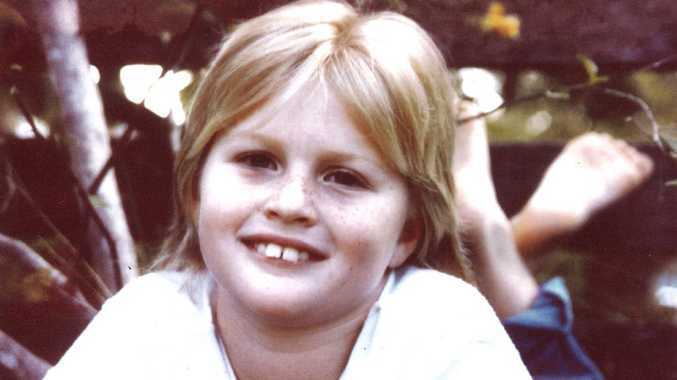 Tucci and her husband Vaughn already have a nine-year-old son and daughters aged two and four. The Tucci's have started a Go Fund Me page, to help them raise funds for a van big enough for the entire family.